And another hi-def hello to all our fellow physical media geeks out there. 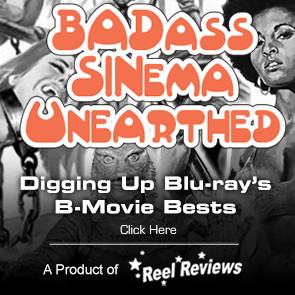 Welcome to the weekly look at our most wanted titles coming to blu-ray and/or 4K Ultra HD. After a slow start to the new year, the hi-def action begins to pick up in a huge way with five new films getting a home video debut this week and one of those getting the legendary status of becoming our Most Wanted Blu-ray/4K UHD for the week of February 5, 2019. 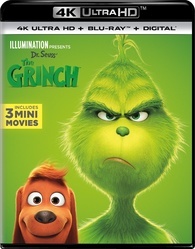 Let's get this party started with a title receiving all kinds of hi-def love this week in the form of Dr. Seuss' The Grinch which comes out in a 4K Ultra HD + Blu-ray + Digital HD edition, a Blu-ray 3D + Blu-ray + Digital HD edition, as well as a Blu-ray + DVD + Digital HD edition. No matter your preference, there's an option for anyone wanting to recall the antics of the grumpy ol' Grinch and his little dog Max. 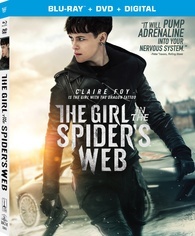 Another title getting its home video debut is the action thriller The Girl in the Spider's Web which continues the saga of punk hacker Lisbeth Salander and her journalist cohort Mikael Blomkvist. Sony is releasing the title in a Blu-ray + DVD + Digital HD package that comes with with a couple of commentaries, deleted scenes, and a handful of featurettes. 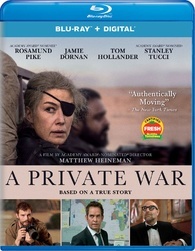 Universal hits the hi-def schedule this week with the Blu-ray + Digital HD release of Matthew Heineman's A Private War which stars Rosamund Pike in the Golden Globe-nominated film about one of the most celebrated war correspondents of our time, Marie Colvin. The release features a couple of featurettes and interviews. 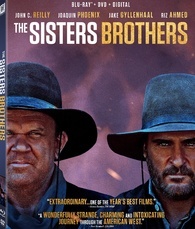 Rounding out our list of new films debuting on home video this week are the much under-appreciated western The Sisters Brothers which gets a Blu-ray + Digital Copy release from 20th Century and the sci-fi/horror film The Cloverfield Paradox which gets a blu-ray edition from Paramount. 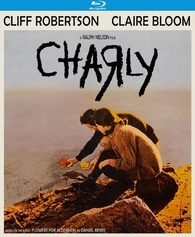 Kino Lorber has a significant release this week in the form of the 1968 drama Charly which was based on Flowers for Algernon, a sci-fi fiction short story, and subsequent novel. Kino always does great work and Charly should be no exception as it is getting a brand new 2K remaster and a new commentary from film historians Howard S. Berger and Nathanial Thompson. There's a really cool horror triple feature coming out this week on blu-ray from Mill Creek. There isn't a whole lot of buzz around it, but the Queens of Scream edition contains three horror films: I Know What You Did Last Summer; When A Stranger Calls; and Vacancy coming out in a Blu-ray + DVD edition. 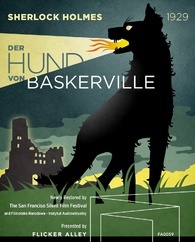 Richard Oswald's film Der Hund von Baskerville a.k.a. The Hound of Baskervilles (1929) is getting a new restoration from Flicker Alley that also features a couple of commentaries and an illustrated book to accompany the Blu-ray + DVD release. 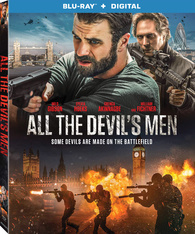 The 2018 war on terror thriller All the Devil's Men Gets a Blu-ray + Digital Copy release this week from Lionsgate, while Screen Media is putting out blu-ray release of the Brett Simmons-directed "meta" comedy horror film called You Might Be the Killer. 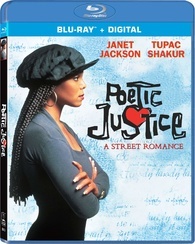 And next, Sony is releasing to blu-ray for the first time the 1993 John Singleton film, Poetic Justice which stars Janet Jackson, Tupac Shakur, and Regina King. The film comes in a Blu-ray + Digital HD edition. And finally, our Most Wanted title on blu-ray / 4K Ultra HD this week. 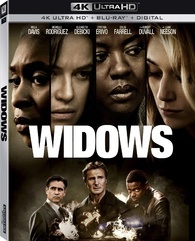 20th Century Fox is releasing a 4K Ultra HD + Blu-ray + Digital Copy two-disc set of director Steve McQueen's BAFTA-nominated thriller Widows. The release features a handful of special features and a stills gallery. "Who's Who in Who-ville (interactive map) – There are so many interesting characters that call Who-ville home that it's hard to keep track of them all. This "Who's Who" pop-up book uses animation to create a virtual storybook that takes us from Who-ville to Mt. Crumpit. "You're A Mean One, Mr. Grinch" Lyric Video – Tyler, The Creator puts a modern spin on the Seussian Christmas classic. The Making of the Mini-Movies – Mini in size but not in heart, these short films are fan favorites. From the Grinch and Max to the Minions – you'll explore the themes of each of the mini-movies through the eyes of the filmmakers who made them. From Green to Screen – It takes a lot to bring grumpy green to your home screen. This inside look at the making of Illumination's Dr. Seuss's The Grinch features interviews and behind-the-scenes moments with the cast, filmmakers and artists whose hearts have all grown three sizes bringing this classic tale to life. My Earliest GRINCH Memories – The cast and filmmakers of Dr. Seuss's The Grinch reveal their earliest memories of the grumpy green character and the enduring appeal of this Christmas curmudgeon's journey to redemption. Grinchy Gadgets – From his body-size blow dryer to his moving mechanical chair, from his catapult to his dog drone-rig and more… you'll get to explore the wondrous world of Grinch's gadgets. "I Am The Grinch" Lyric Video – A stylized look at Tyler, The Creator's original song created just for the film. Songs From His Little Heart – Take a deep dive into the toe tapping beats of Dr. Seuss's The Grinch. From score to specialty songs, you'll hear from the film's A-list musicians on what it took to create the music behind the movie. X-mas Around the World – Every culture practices Christmas in a slightly different way. We'll highlight some of the more fun permutations of the holiday around the globe. Cindy-Lou's Yule Log – Nothing says the holidays quite like an animated fireplace blasting fake heat from your living room television. Just in time for winter, we'll recreate Cindy-Lou's living room on Christmas Eve for all to enjoy. Production Babies – A celebration of the babies born to the filmmakers during the production of Illumination's Dr. Seuss's The Grinch. Any Who Can Draw – Hosted by an Illumination artist and head of story Mark O'Hare, you'll see step-by-step how to draw some of your favorite characters from this beloved holiday classic; Grinch, Max and Fred! In a world where journalism is under attack, Marie Colvin (Pike) is one of the most celebrated war correspondents of our time. Her mission is to show the true cost of war, driving her, along with renowned war photographer Paul Conroy (Dornan), to embark on the most dangerous assignments of their lives as they journey to the frontline of conflicts across the globe. Set during the 1850’s gold rush and follows two brothers earning a living as hired guns as they hunt down a chemist who has stolen a valuable formula from their employer. Charlie Sisters (Joaquin Phoenix) is a violent drunkard with a penchant for the hard life he and his brother have grown into, while Eli Sisters (John C. Reilly) is torn between the desire for a simpler, more peaceful life and the guilt-ridden responsibility to stick by his brother’s side, despite the trouble it brings. 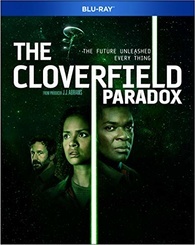 Orbiting above an Earth on the brink of catastrophic energy wars, scientists test a dangerous device that could provide unlimited power but also runs the risk of creating a terrifying paradox, leaving them face-to-face with a dark alternate reality. Charly Gordon, a mentally challenged adult, gradually develops a genius-level IQ following experimental surgery. 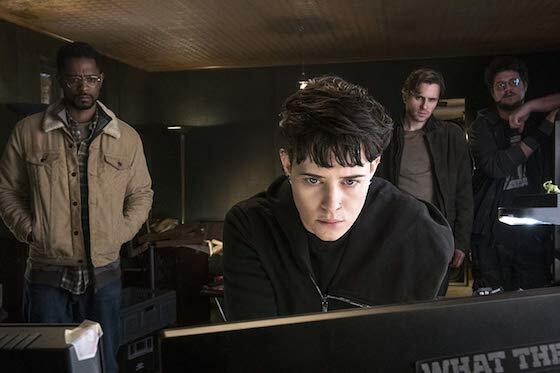 But Charley's personality changes are not all welcome, and when he learns that his increased intelligence may not last forever, he becomes despondent. When David (Luke Wilson) and Amy Fox's (Kate Beckinsale) car breaks down in the middle of nowhere, they are forced to spend the night at the only motel around, with only the TV to entertain them - until they discover that the low-budget slasher videos they find in their room were all filmed in the very room in which they're sitting. With hidden cameras now aimed at them - trapping them in rooms, crawlspaces, underground tunnels - and filming their every move, David and Amy must struggle to get out alive before they end up the next victims on tape. Jennifer Love Hewitt and Sarah Michelle Gellar star with Ryan Phillippe, Freddie Prinze, Jr. and Johnny Galecki in this terrifying tale of a body that just won't stay dead. After an accident on a winding road, four teens make the fatal mistake of dumping their victim's body into the sea. Exactly one year later, the dead man returns from his watery grave and he wants more than an apology. To Jill Johnson, it was the perfect babysitting job. The parents were away. The fridge was stocked. The children were tucked into bed. But then the phone rings and an ominous voice asks, Have you checked the children? Locked in with the lights out and the curtains drawn, a panicky Jill phones the police, who trace the calls - only to inform her they're coming from inside the house. Starring Carlyle Blackwell Sr. (Sherlock Holmes), George Seroff (Dr. Watson) and Fitz Rasp (Stapleton), this version of Der Hund is a deluxe makeover made during the dying days of the silent era. Much has been refined, but we are still in a world of secret passages behind sliding panels that lead to torture chambers, death traps, and a hiding place for the malodorous hound. 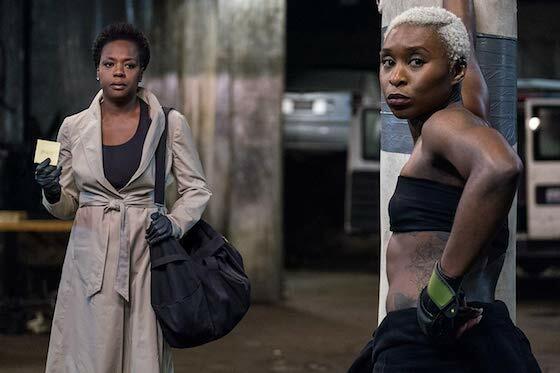 Synopsis: Starring Milo Gibson, Sylvia Hoeks and William Fichtner, the film follows a team of military operatives hardened by the war on terror as they conduct a manhunt for a disavowed CIA operative through the streets of London. “All the Devil’s Men: Working in the Shadows"